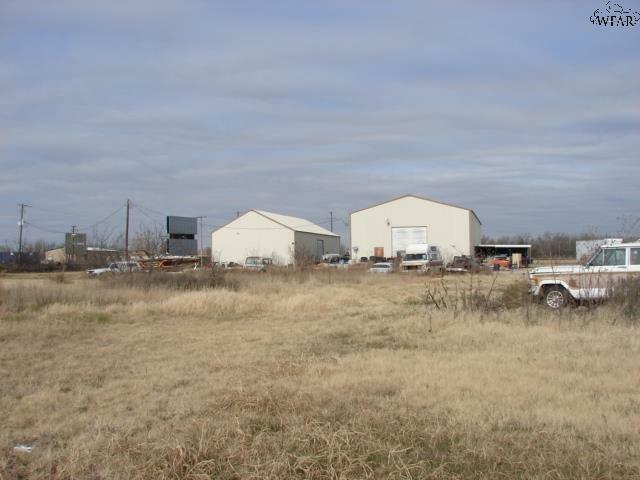 This property includes two metal warehouses. 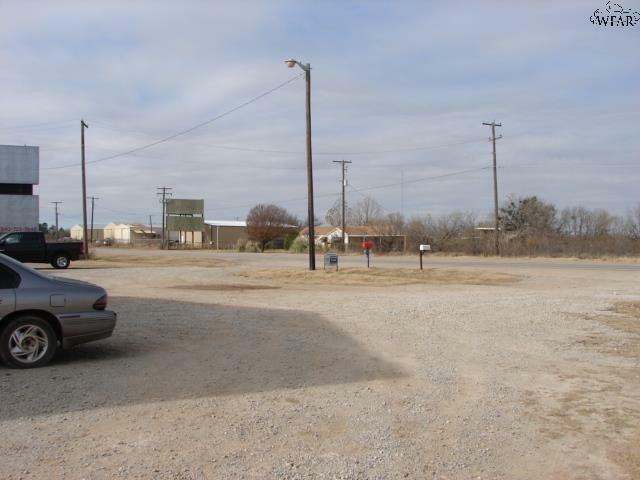 The larger has 4116 sq ft of space, two offices, a bathroom, while the smaller has 2592 sq ft of space with bathroom too. 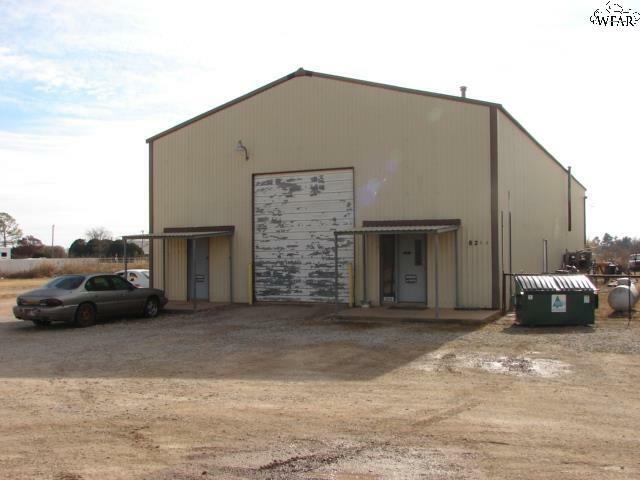 Both have tall overhead doors, the larger building has a side overhead door as well. 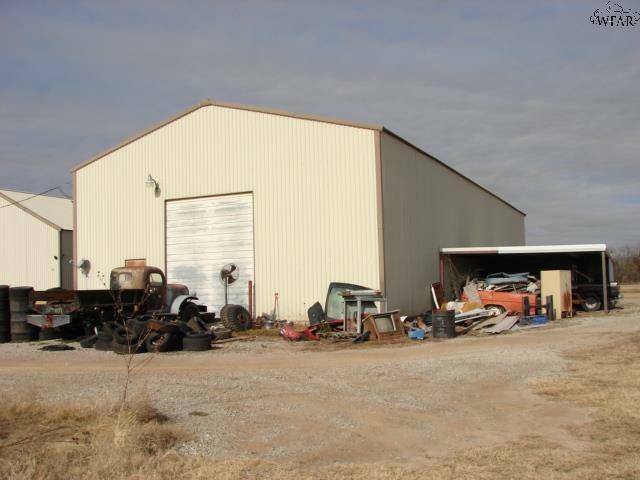 The property sits on 5.72 acres of land, gravel parking lot , and frontage on HWY 82 west of Wichita Falls before Kamay Y. building dimensions are 42' x 99' and 36' x 75'.